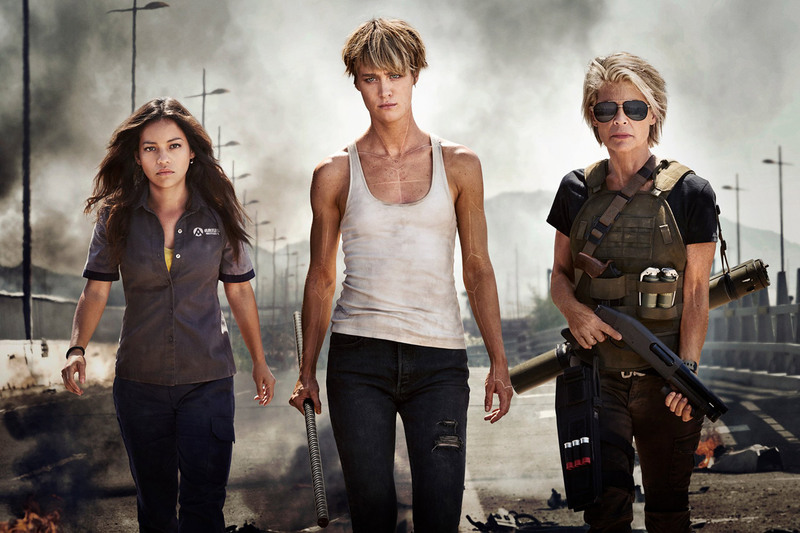 The image features Natalia Reyes, Mackenzie Davis and Linda Hamilton; the latter reprising her infamous role of Sarah Connor, complete with shotgun in hand. This will be the first time audiences have seen Hamilton play Sarah Connor since 1991’s Terminator 2: Judgement Day. Since then, the role has been played by Emilia Clarke in Terminator Genisys (2015) and Lena Heady in the TV series Terminator: The Sarah Connor Chronicles (2008-09). The image sees Davis lead the trio through a dusty war zone, though we don’t have any details about her character yet. Reyes will reportedly play Dani Ramos, a young woman in Mexico City. Deadpool (2016) director Tim Miller is on board to helm the as yet untitled Terminator film, with James Cameron and David Ellison producing. Arnold Schwarzenegger will return to play the title character in the sixth instalment of the franchise. The film is currently due out in theatres on 22 November 2019. Check out the first image from the film below, and let us know if you think the Terminator franchise still has a chance of redemption in the comments section.